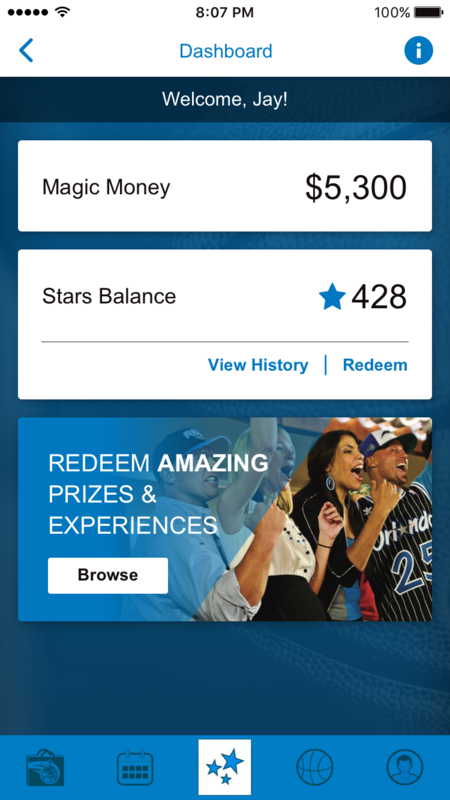 The Orlando Magic's vision to create an innovative rewards platform. Creating Magic with Innovative Rewards. 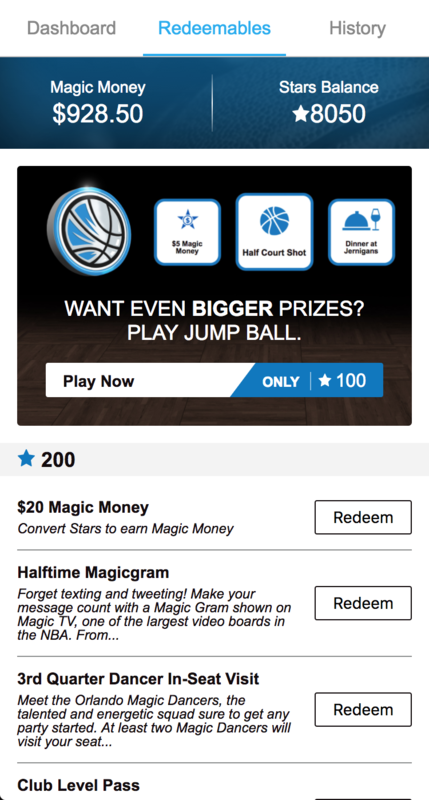 The Orlando Magic, an analytics & technology leader in the NBA, was searching for a way to create a new type of rewards experience for their fans. They partnered with TEEPS to help them create a new, custom product that seamlessly integrates various systems (including ticketing, seat upgrades, and in-app purchasing) into a consolidated fan facing program. TEEPS began with a Discovery Session to understand the Magic’s vision and to be introduced to their team. In the three months leading up to the 2017-2018 season, TEEPS designed and developed the Magic Rewards module which resides within the Magic’s official mobile application. I'm extremely pleased with what TEEPS delivered. We were looking for a solution to integrate disparate systems into a single, cohesive experience for fans. Our new Magic Rewards accomplishes that and gives us the ability to further personalize interactions with fans and reward them for their loyalty. Download on the iOS App Store and Google Play today.